1. 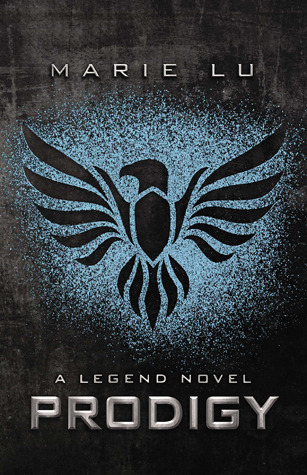 What makes Legend Trilogy different from all the other dystopian novels? The world building is solid and in my opinion, something that could really happen in the future (especially with the Trump presidency). The ideas presented in the entire story arc are futuristic yes, but the governing bodies aren’t too radical and scientific. Lu took on a traditional approach in setting her fictional world but still managed to be unique. Her America is still the America we can recognize, with only slight changes, changes that we can imagine happening. 2. Is the story focused on the romance? Love triangle? Not at all. I did have issues with the two leads falling in love fairly quickly but the story wasn’t really focused on the romance so it’s no big deal. Legend is all about winning the war and choosing where your loyalties lie. There is a love triangle (square actually) but very minor only. The romance isn’t the center of the story to begin with so imagine how little these love square moments would actually be. First person point of views that alternates between the two lead characters. June and Day kind of sound alike but thankfully, the author used a designated font and font color for the two of them. 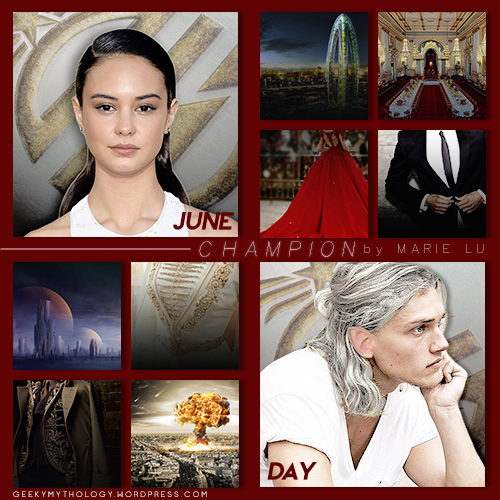 June’s chapters are usually dark colors like black and dark green (it varies per book) and Day’s are the colorful ones (gold, blue and red) which aligns with the cover design. That’s about my FAQ’s. Let’s get to the two leads’ profiles. Special attributes: Youngest graduate of the military academy, scored a perfect 1500/1500 to the Trials, the Republic’s Prodigy. Special attributes: Republic’s Most Wanted Criminal, can scale buildings the fastest, Republic’s legendary rogue. 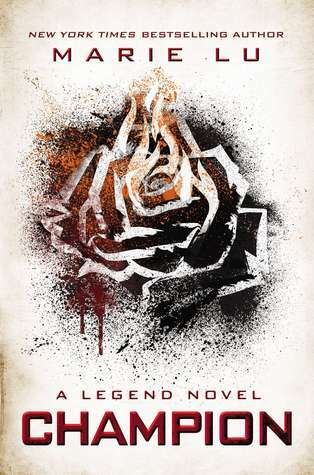 I rarely read Dystopian novels and with what little experience I have of said genre, I can say that Legend is probably the best, yet. The world building was gradually done in a way that as you go along the story, you would get a piece of the puzzle one by one until you can picture it in its entirety. In short, it wasn’t a giant info dump in the first chapter alone. I like the idea (not that I want it to happen) of a future America when the states are divided and that the existing “United” States of America now, is just an unfounded myth or legend for the people in that time. I just find it so fascinating that in the many years to come, this moment we are living right now could actually be erased from history, forgotten and whispered around as if it was a forbidden thought. I also like that the characters were from two different worlds and would later on unite against a common enemy. They used to be from two different sides of the fence that made things a lot more complicated yet exciting. June Iparis is an easily loveable heroine. 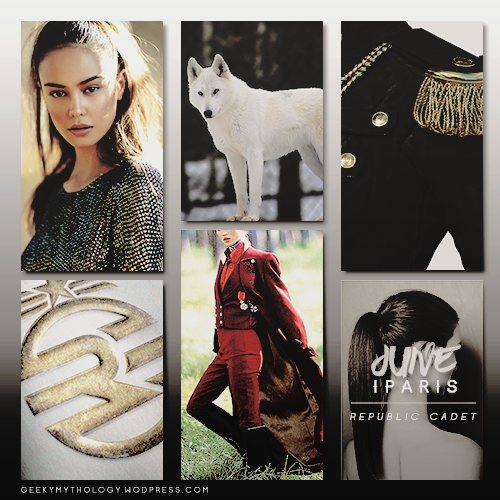 She’s smart, reliable, skillful and logical. I love her courage to stand up against the wrong even if it meant throwing away the life she’s only known. 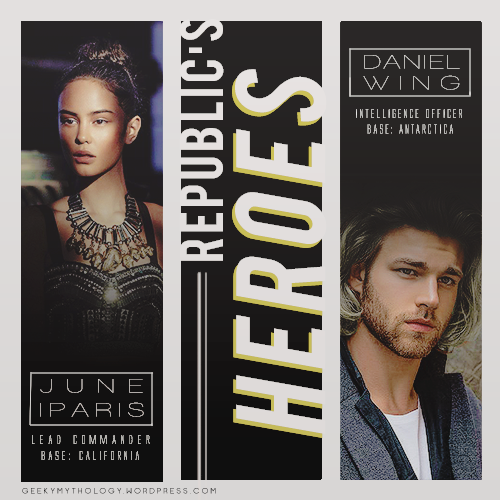 Daniel “Day” Wing, a prodigy lost in the chaotic world of politics but found his way again when he met June. Just like her, Day is intelligent, resourceful, loves his family dearly and is pretty much an amazing person all around. Come to think about it, Day and June’s characteristics are so similar that they could be the boy/girl version of themselves. It’s hard to differentiate their traits from each other. It’s probably why I didn’t feel their chemistry. In fact, I wanted the romance to happen at the later part of the series like maybe in the second half of the next book or even at the final book. The romance felt forced and even premature. I just thought that they should have known each other better before feeling passionate things for each other. On another note, the pacing of the story was slow in the beginning but picked up halfway through it. I think that the death of certain characters were rushed and not given much emphasis that I didn’t mourn for their loss as much as I thought I would have, especially since these characters have endeared themselves to me even though they don’t have a very active role in the story. In conclusion, I enjoyed this book and would gladly continue on the series. 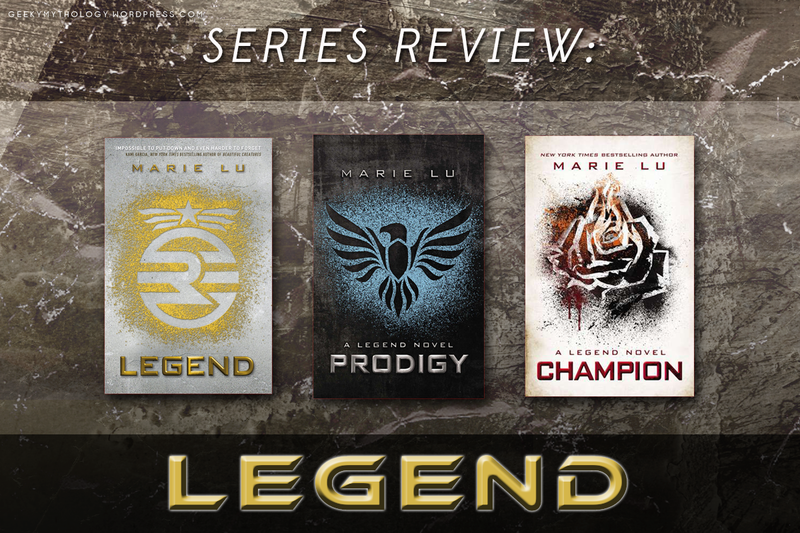 Prodigy is without a doubt, better than the first book in the series (Legend). I had many reservations in book one that prompted me to rate it less than a perfect score. Most of those reservations have been completely dashed after reading the second installment especially the romantic aspect of the book. I had complained about not feeling the chemistry between June and Day primarily because they are so alike in character and attitude. I was wrong. 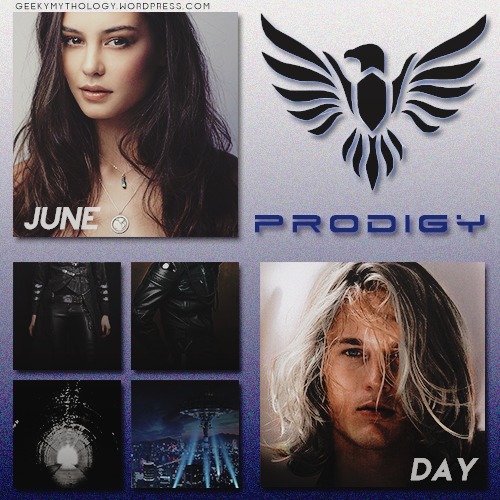 Prodigy chronicles June and Day’s adventures within the Patriot’s territory and along the way, we get to see more of their motivations and thoughts AND how different they think. The love that Day was so sure about in Legend was questioned. Suddenly he was no longer sure of his feelings for June. 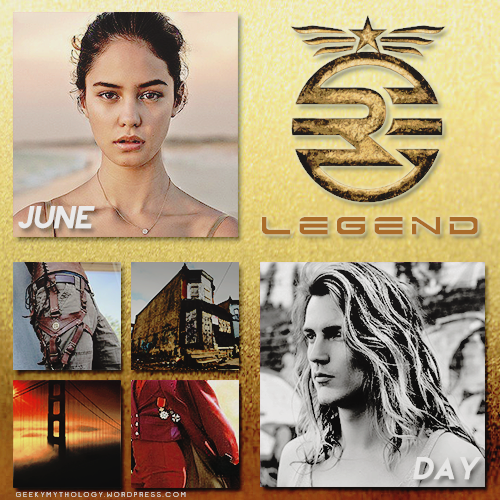 At the same time, June’s love for Day solidifies when she wasn’t so sure in the beginning. It was interesting to read about their struggles when confronted with romantic situations from different people. They are not without flaws. For a while there, they floundered in their feelings for each other while also fighting a war and trying to decide which side of the fence they should be on. Talk a lot about love at the wrong time! June is a solider through and through. She is logical and tactical about how she approaches certain problems but she also trusts her instinct. She knows her abilities and she uses them well. For once, it is so refereshing to read about a Dystopian heroine not admired by everyone. June has her fair share of fans, yes, but she also has her detractors. And believe me, they were very vocal about their dislike. 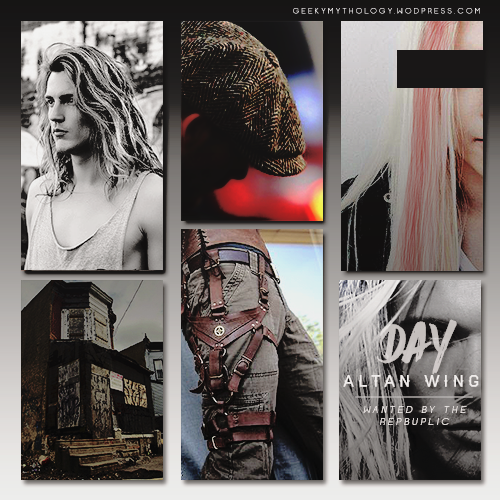 Day is a passionate warrior, an advocate for change who mainly uses his emotion when dealing with things. He may not be as confident in his abilities as June but Day is powerful in his own way. June has herself. Day has the people backing him up. That’s where their strengths lay. The plot in the second book follows the Patriot arc and is a lot more thrilling and action packed. The conflicts are more complicated and trickier; the story bigger than just two starcrossed lovers. It isn’t simply about avenging their own families anymore but saving a dying country. There was an unexpected (and unpleasant) surprise at the end of the book, one I refuse to dwell too much about (at least until I know more about it once I get my hands on the final book). But just for my sake, I’ll prepare my heart for a possible heartbreak. After reading the entire series, a staggering realization hit me. The Republic reflects a lot of what my country’s government is doing right now (the government asserting total control of the military and gradually putting out new laws and regulations). The Republic’s people reflects a lot of what my country’s people are experiencing right now (the people being forced against their will and rights). Of course, some details do not match but the idea that a pseudo-totalitarian government exists makes it pretty much similar. While there were a lot of painful events towards the end, the last chapter was definitely healing and hopeful. It wasn’t what I wanted but it was enough. It seemed apt that their romance was left hanging so it could be up to the readers to decide on how they wanted it to proceed (that is one big fanfiction invite if you ask me!). I was eager to see the story to its end but I didn’t realize how I would regret that after reading that cliffy ending. I wanted more from June and Day but alas, some things are better left hanging for a greater impact. Marie Lu certainly accomplished that. 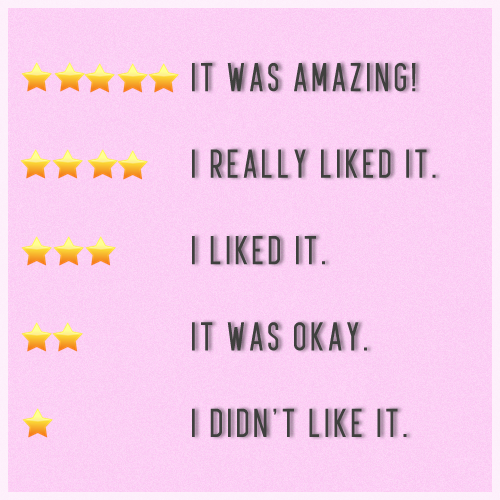 The ending was something that would take me a long time to move on from and for that, I give it 5 stars.